Wound care certification is a way that patients and facilities can be reassured that appropriately qualified clinicians are caring for them. Unfortunately, certification bodies are subject to few, if any, legal restrictions from state or federal agencies and almost any organization can claim to be a credentialing association.9 Accreditation can help lessen the confusion. With the advent of the Internet, unaccredited wound care certifications and wound care certificate pathways are on the rise, causing confusion and a lack of standardization within the industry. This is further compounded by organizations promoting certifications that offer the same certification exam and credentials, irrespective of the applicant’s level of education or professional license. This article discusses the currently available wound care certifications, the importance of choosing an accredited wound care certification program, and the benefits of accredited wound care certification. Currently, there is no uniform system in place to gauge the knowledge and training of healthcare professionals in wound care. In addition, wound care certificate programs and non-accredited wound care certification programs are on the rise. The lack of standardization for levels of education and certification within the wound care specialty is an important issue affecting both patients and facilities. Therefore, it is vital that healthcare professionals and facilities carefully research the programs of study and wound care certifications available before deciding which path to choose. 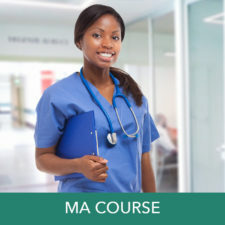 Accreditation is a means of validating and authenticating a certification program, and it provides reassurance that the educational and assessment process involved is rigorous, valid, and in-line with industry standards.8,9 Accreditation is an assertion of quality and gives a ready means of identifying excellence in training, knowledge, and expertise. It is essential, therefore, that persons interested in pursuing certification in wound care investigate whether the credentialing program is accredited and if so, by whom. National Commission for Certifying Agencies (NCCA). Accreditation Board for Specialty Nursing Certification (ABSNC). Achieving certification in a particular area of expertise is a worthwhile and noble pursuit, with tangible benefits for patients, employers, and the professionals themselves. However, before embarking on a certification program, it is worth taking the time to research the available options. 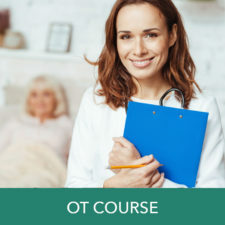 The wound care certification course should be rigorous and commensurate with the learner’s level of education and academic degree, and it should prepare the individual for accredited certification. The benefits of such a program and certification would ensure that the individual’s credentials meet industry standards and carry the prestige of a formal accredited certification. Duffy, J. & Carlson, T. (2011). Understanding wound care center certifications. Today’s Wound Clinic, 5(5). Chizek, M. (2003). Wound care and lawsuits. 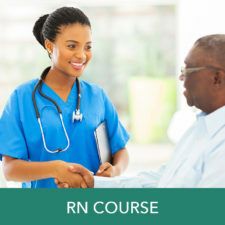 Advance Healthcare Network for Nurses, 5(7), 31. Fowler, E. Deposed: A Personal Perspective. Legal Issues in the Care of Pressure Ulcer Patients: Key Concepts for Healthcare Providers, Medline. Fife, C. E. & Yankowsky, K. (2013). Avoiding legal pitfalls for home health services in wound care. Today’s Wound Clinic, 7(4). Corbett, L. (2012). Wound care nursing: Professional issues and opportunities. Advances in Wound Care, 1(5), 189–193. Darrah, J. (2016). Measuring the value of wound care certification in a quality-based healthcare system. Ostomy Wound Management, 62(9), 1943–2720. Rappl, L., Flec, C., Hecker, D., et al. (2007). Wound care organizations, programs, and certifications: An overview. Ostomy Wound Management, 53(11), 28­–39. (n.d.). 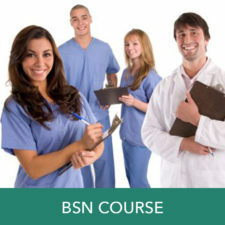 Retrieved from http://www.nursingcertification.org. Accessed 18 January 2017. Institute for Credentialing Excellence. (n.d.). Retrieved from http://www.credentialingexcellence.org. Accessed 18 January 2017. Sharkey, S. Leveraging certified nursing assistant documentation and knowledge to improve clinical decision making: The on-time quality improvement program to prevent pressure ulcers, advances in skin & wound care. NCCA Summary Document. (2016). Interpretation of Standards, Institute of Credentialing Excellence. (2016). Accreditation standards. Revised 7-11-2016. Retrieved from http://www.nursingcertification.org/wp-content/uploads/2016/08/ABSNC-Accreditation-Standards-071116.docx. Accessed 18 January 2017. (n.d.). Certification vs. Certificate. How is certification different than a certificate? Retrieved from http://www.amwa.org/certification_differences. Accessed 18 January 2017. (2010, March 5). Why Certify? The Benefits of Nursing Certification. American Nurses Credentialing Center. Retrieved from http://www.medscape.com/viewarticle/717805#vp_1. Accessed 14 January 2017. (n.d.). ABWM Certified. CWS: Why Certify? Retrieved from http://www.abwmcertified.org/abwm-certified/cws/cws-why-certify. Accessed 15 January 2017. Mee, C. (2006). Salary survey. Nursing, 36(10), 46–51. Poliey, L. (2013, September 19). The benefits of dedicated home nursing for treating wounds. Harvard Business Review. Brem, H., Maggi, J., Nierman, D., et al. (2010). High cost of stage IV pressure ulcers. The American Journal of Surgery, 200(4), 473–477. Zaratkiewicz, S. (2010). Development and implementation of a hospital-acquired pressure ulcer incidence tracking system and algorithm. Journal of Healthcare Quality, 32(6), 44-51. Kendall-Gallagher, D., Aiken, L. H., Sloane, D. M., & Cimiotti, J. P. (2011). Nurse specialty certification, inpatient mortality, and failure to rescue. Nurse Scholarship, 43, 188. Zulkowski, K., Ayello, E. A. , Wexler, S. (2007). Certification and education: Do they affect pressure ulcer knowledge in Nursing? Adv Skin Wound Care, 20(1), 34-8. Westra, B. L., Bliss, D. A., Savik, K., et al. (2013). Effectiveness of wound, ostomy, and continence nurses on agency-level wound and incontinence outcomes in home care. Journal of Wound Ostomy Continence Nursing, 40(1), 25–53. I agree that it’s important to take the time to research your certification options before you start so that you can find the right MA program for you. My daughter is really interested in working with newborns, so she will have to look into getting certified in that specific section of MA work. I’ll help her do some research first so we can find the best certification schools in this area that could help her achieve her dream. Thanks for the feedback. We wish your daughter the best of luck in her professional endeavors!